Continuing our recent round of introductions to new Sitback faces, I'd like to introduce you to our latest member of the team, Rebeka Hall. 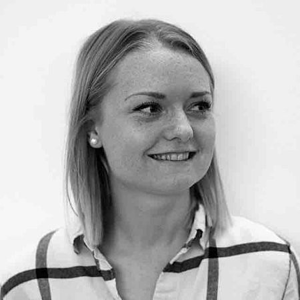 Rebeka started at the end of July as an Experience Design Consultant and joins our team of psychologists and human-computer interaction experts, where she will be working with clients to design customer-led solutions to solve their business problems. Here's a quick introduction to Rebeka and her background. "I’m originally from Sheffield in the UK, and came to Sydney only a few months ago to travel and work. Having studied in Brisbane previously, I had always been keen to come back and live the Aussie lifestyle… so here I am! 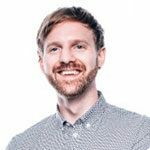 I began my UX career in London, both client and agency side, and immediately fell in love with the industry and it’s influence/creativity in every part of our lives." "Working on exciting projects and learning more about the implementation of user research methodologies. (And of course working with the lovely, talented people here at Sitback!)" "I love going to the gym, running and reading. My new favourite weekend activity is coastal walks and now my Instagram feed is pretty much clogged up with photos of beaches. Aside from being active, I also tend to binge watch sitcoms and docu-series on Netflix at an alarming rate – if I am not watching Peep Show or Brooklyn 99, you can probably assume I am watching something 'educational'." So there you have it - welcome to the gang, Rebeka!